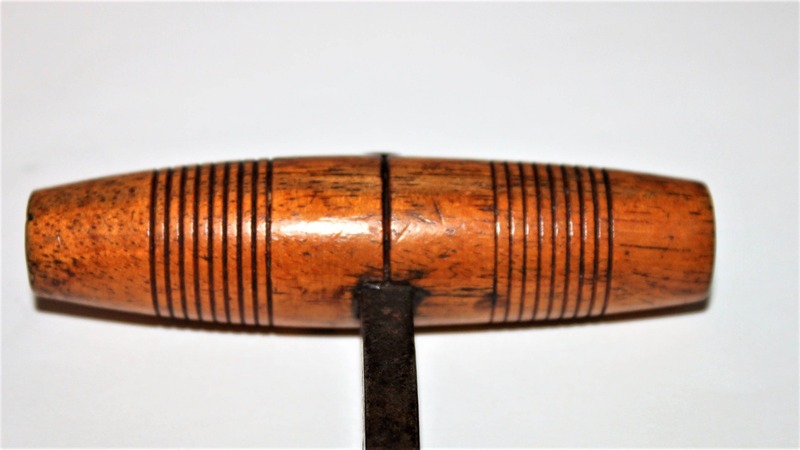 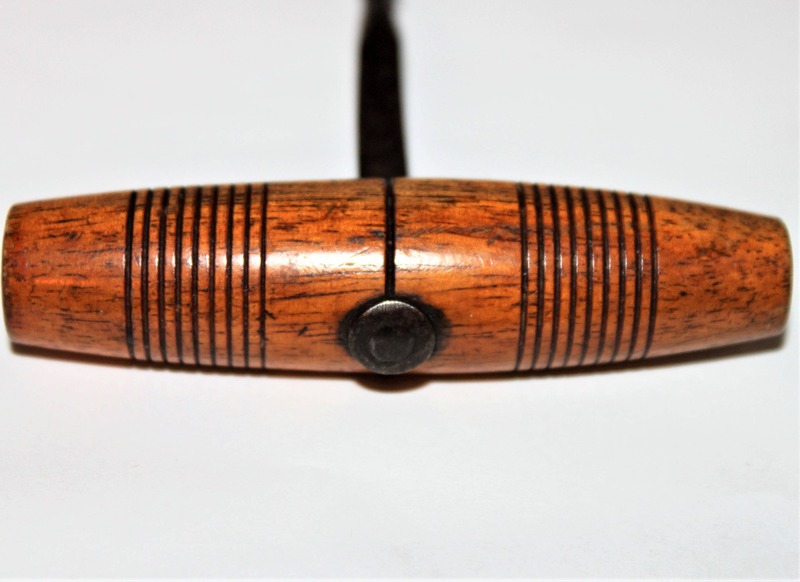 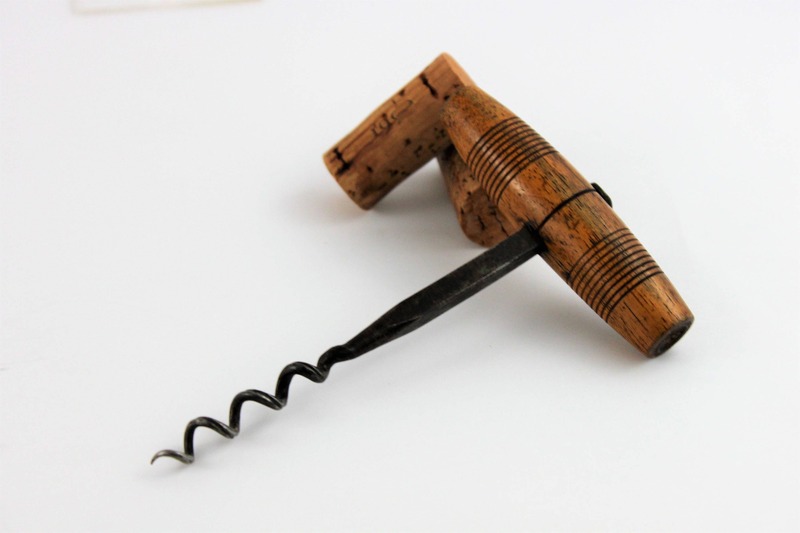 We have for sale an Antique Wood Handle T-Type Corkscrew with a Fluted Wire Helix. 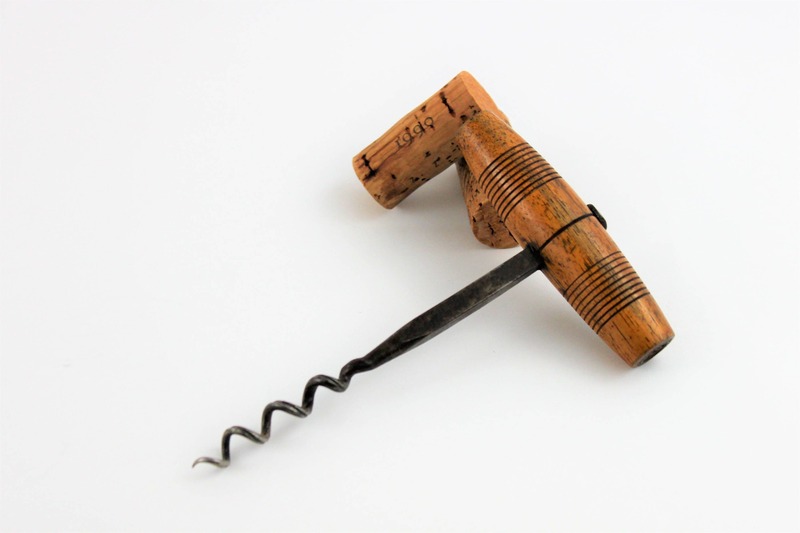 Wonderful turn of the century corkscrew with a couple unique features. 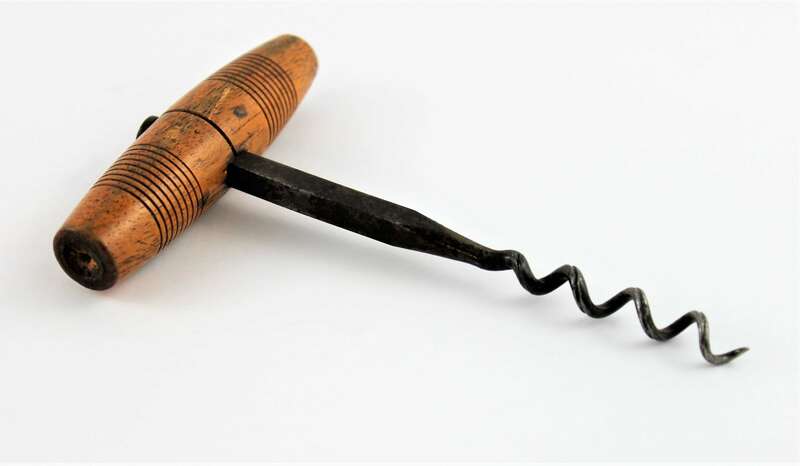 The square shank runs through the turned wood handle and is fastened with a hammered washer, the square shank tappers down to the fluted wire helix. 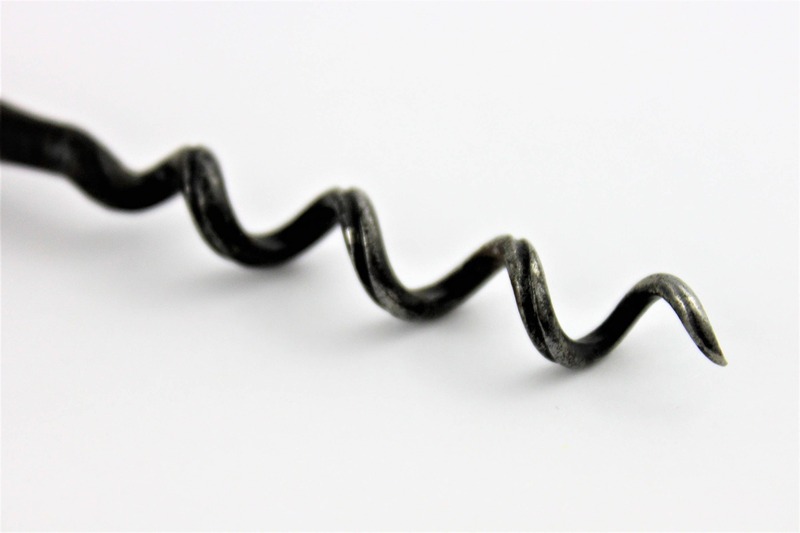 The fluted helix is a distinctive design that allows air into the bottle once the screw pierces the cork which offers a much easier pull of the cork.